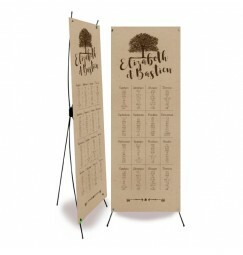 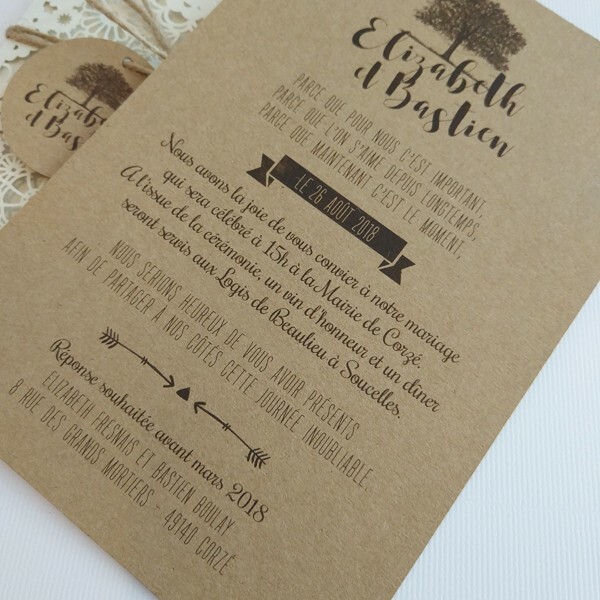 Our boutique will be closed Friday 18th and Saturday 19th of January - We will be at the Bordeaux wedding show. 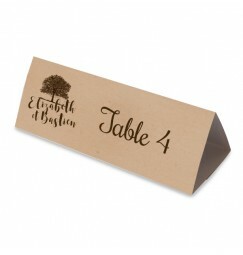 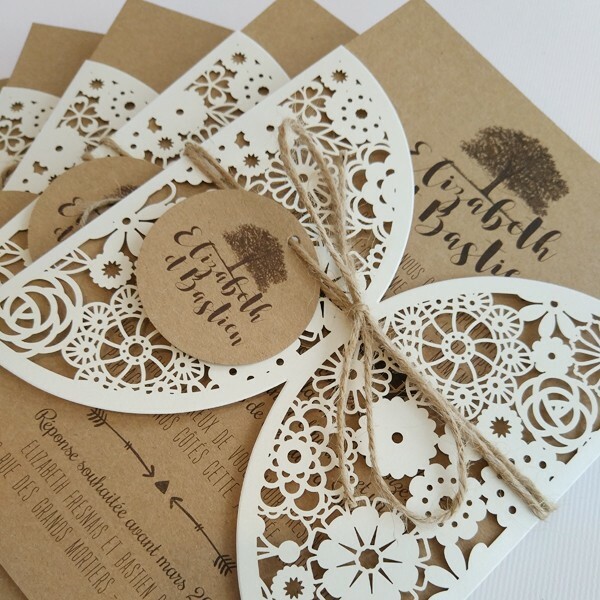 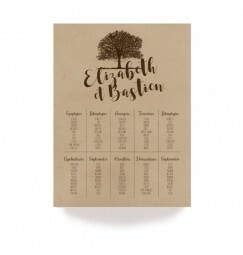 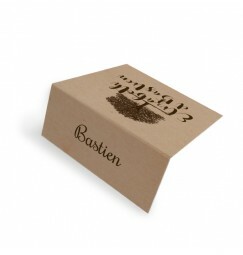 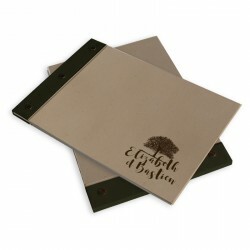 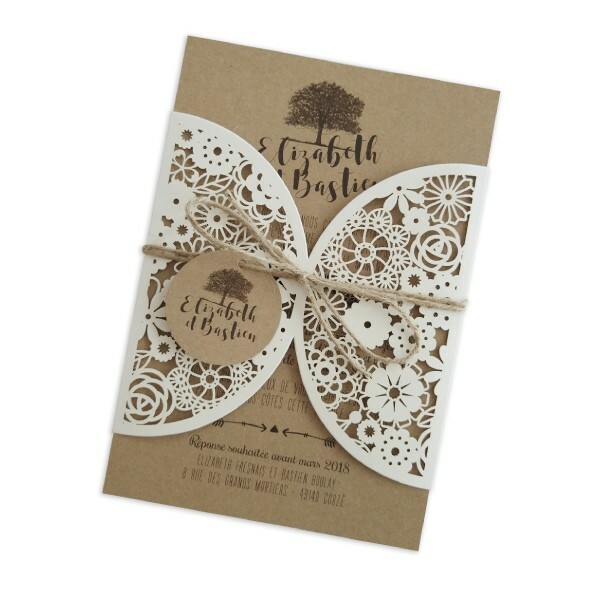 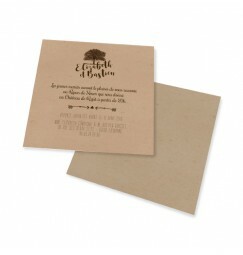 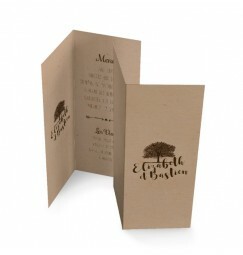 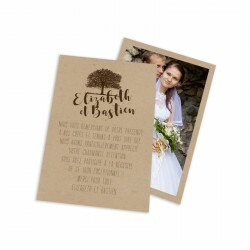 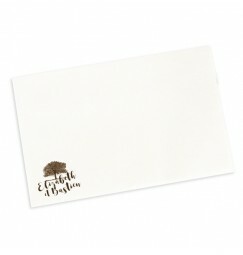 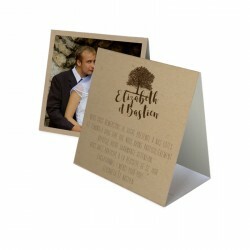 This champetre inspired wedding invitation is printed in brown on a kraft card. 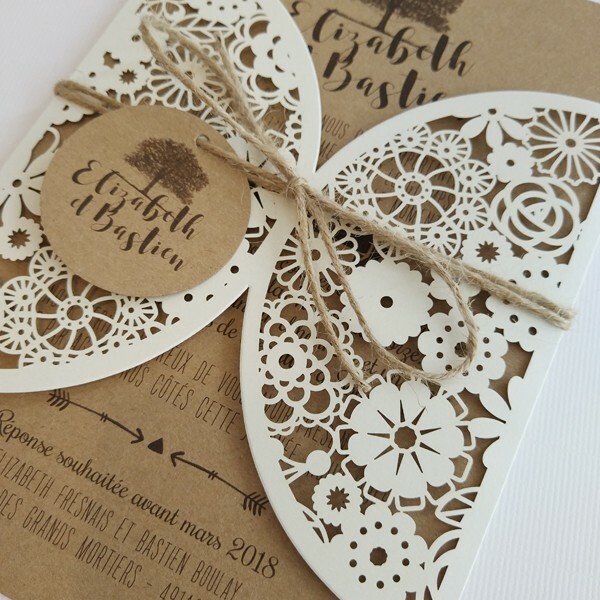 The invite is then wraped in a lace outer and closed with a brown string. 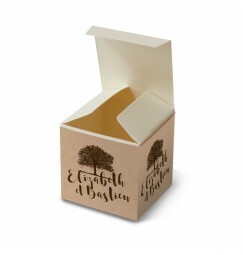 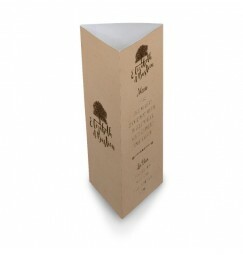 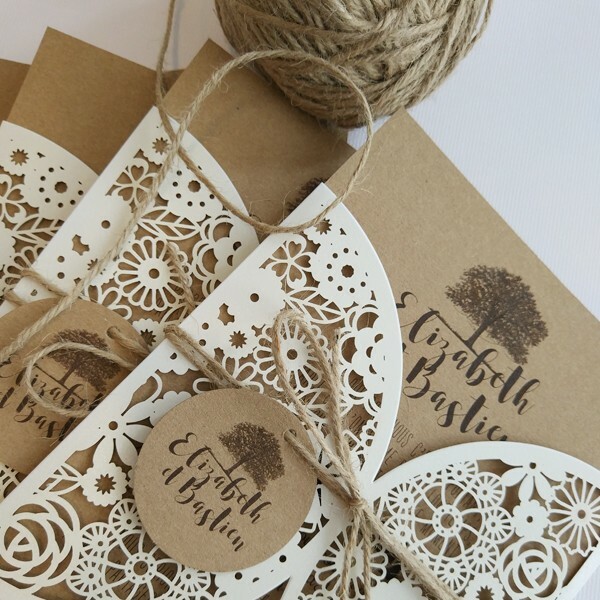 The tree logo is then brought to the outside in the form of a round kraft tag.